I recently got the chance to hang out with and interview another one of my sponsors, Louise, from the blog I'm Feelin' Crafty. I'm kinda having fun with the Google Hangout tool, can you tell? Louise is a multi-talented sewist, crafter, architect, mom and wife. And, as I found out, she has some really fun stories to tell about her adventures with sewing and creating too. She speaks of her love of quilting. 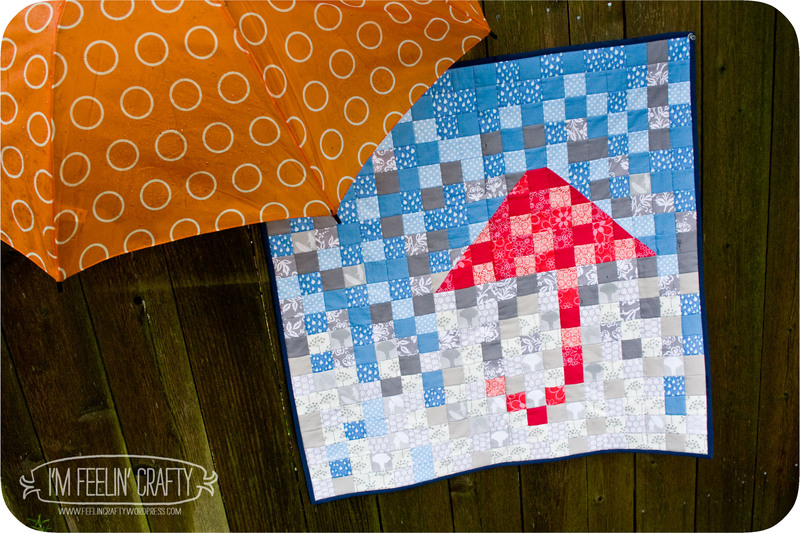 As an example, here's her Wonky Star Quilt Block Tutorial. So pretty! She also refers to her technique of drawing with her sewing machine. An example of that is her oh-so-lovely Kindle Cover Tutorial. 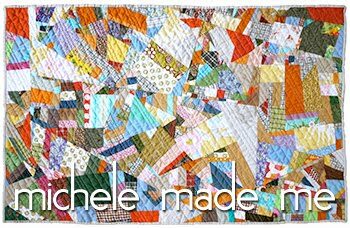 She mentions one of her favourite things ever: the Umbrella Postage Stamp Quilt. It's too wonderful not to share here! Plus, there are her popular Ghostie dolls, that little Fox Skirt, and her son's funky Surfer Slacks. And oh, I think she mentioned the I'm Feelin' Crafty Etsy Shop for DIY party crafts? You might want to check it out if you have any kiddie parties on the horizon. 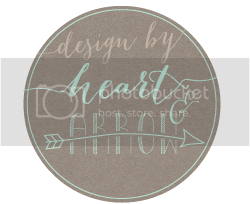 In a nutshell, that is Louise and her beautiful blog, I'm Feelin' Crafty! Take a moment to pay her a visit, won't you? 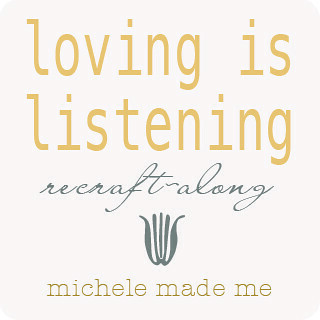 Visit the Advertise page HERE for details about sponsoring Michele Made Me! P.S. Kitten Update: The kittens are gone... In my enthusiasm, I think I scared them away... Hopefully, they're safe and sound with their momma. Great interview Michele! So nice to meet Louise - she has a beautiful blog! I've just been checking out the links too - that Fox shirt is adorable - but my favourites are the Ghostie Dolls! !